So what's gonna become of this art contest? Do the participants get to choose which theme they'd go for or will they be compelled to incorporate both themes in one artwork? As for winners, I would have to discuss that with Oda and see what he wants to do. But first, we'll see how the submissions go! Edited by Akreis, 05 January 2016 - 08:06 PM. BTW, would it be permissible to submit two entries, one for valentines and one for lunar new year theme? Edited by ROCKheir, 05 January 2016 - 10:06 PM. traditional art also can join the loading screen ? I would have to ask Oda about that as well (in terms of selecting and usage ingame), since he's the one in charge of handling the screenloaders and judging and whatnot. We've never had a dual themed contest before as far as I can remember. However, I personally think it's fine overall, especially since there's no rule against ever submitting more than one in the previous contests (though both wouldn't be eligible to win at the same time, just to make it fair with everyone else). Hm, then it wouldn't make sense to submit two. Question: Will the loading screens for both themes be implemented at the same time? Coz I was thinking, the best time this contest for lunar new year should've been held was December so that the selected entries are implemented by january then this valentines day held this january for the selected entries to be implemented this coming february. Implementing both at the same time would seem, at least to me, incongruous. Just my two cents. Edited by ROCKheir, 06 January 2016 - 01:45 AM. 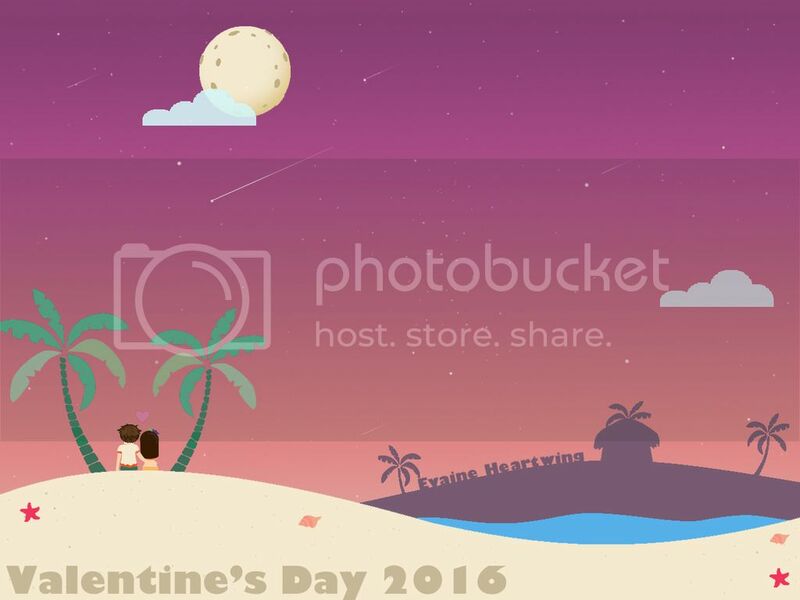 In the past Valentines Day loading screen contest it has always collided with Lunar New Year. Unfortunately it didn't seems like it was made an official theme but some artists still drew Lunar New Year related subject along side with Valentines to celebrate both events. Imo artists should only be limited to one winning slot per event, this is so other people gets a chance at a slot too and not everyone can do two arts during the period of the art contest. It also encourage people to focus more time on one piece than do quick arts. It's only fair. Lunar New Year falls on the 8th of February 2016 while Valentines is on the 14th, both celebration is cutting too close. Edited by WarlockFier, 06 January 2016 - 08:46 AM. Yer right, only one winning slot per event is Fier Fair. xD The reason why I did ask for the possibility of submitting two entries is because the existence of two themes (which I encountered for the first time) made it seem to me that this is a two-category contest. But since you pointed out that this is intended to be just a one-category that gives artists freedom to choose which of the two themes or to combine both in creating an art, then I've no qualms about it. Not really acquainted with the Lunar New Year. The only thing I know is it's a new year so I immediately associated it with January. If you'd excuse my ignorance, milady. Edited by ROCKheir, 06 January 2016 - 09:47 AM. I think it would be a good idea, adding some variety to the loading screens and I think we have a very talented and quick working art community to support this. Yeah, as I said earlier, and as Fier said, it would only be fair to have 1 winner per slot. If a person wants to put the time into making 2 submissions, the option is there for them. But they just gotta remember that both submissions can't win. I know I've done multiple submissions in a Halloween Contest back last year back in 2014. Only one of them won, which I expected (1 win or no win at all). This is the first time I've seen an official two-themed contest as well, I wasn't planning on doing that either, so it kinda just came out on a whim. But since Fier mentioned it, I didn't want to limit the contest too much, nor reject her suggestion, because both occasions are indeed celebrated in February. It's nice to be able to some freedom with your creativity too. And good to know that Oda agrees to add both themes and add variety. In regards to the categories, we will have to play it by ear first, and see how many submissions we receive of each theme first. Plus there may be submissions that implement both themes in one (we can totally celebrate the Lunar New Year in Jawaii with our partner~). So we'll see what happens. Edited by Akreis, 06 January 2016 - 10:17 AM. We're going to play it by ear and see how many submissions we get and what theme(s) they correspond with before deciding how this will go in the end. Oda will have the final word on this though, since he's the one doing the screenloaders ingame, and giving the prizes. We'll definitely keep your suggestions in mind though if we do split the category winners. Edited by Akreis, 06 January 2016 - 10:44 AM. Elements: Jawaii for the location. My Archbishop and my imaginary Husband. Advance Happy Valentine's Day everyone! Yeap they are traditional art friendly I've joined the past Loading Screen contests using traditional drawings. Cool it's a digi art this time, right? Vector art is easy to do with a mouse. Focus on it while waiting for ur tablet. Btw, u going for cintiq? An artist friend of mine who's doing vectors use Adobe Illustrator alternatively. Edited by ROCKheir, 06 January 2016 - 11:28 PM. Do pencil-paper made sketches have atleast a small chance of getting into the loading screens? No no no. Just a cheap one for a beginner. I think it was genius. I'm not really familiar with vectors and stuff. I'm still figuring it out. I think so as long as it is presentable. I used to submit traditional drawings before. We've had pencil works as loading screens, but I'll admit that my eyes are drawn to colored/pen inked works for traditional media. Edited by ROCKheir, 07 January 2016 - 09:08 AM. Since Oda mentioned that he usually finds pencil-paper unappealling, aside from inked artworks, why not try doing paper cuts with colored papers? I imagine it to be like a traditional version of vector art. Yes, pencil-paper sketches do have a chance of getting into the loading screens; I recommend adding some ink/pen to the work, as Oda mentioned. Having a good amount of contrast and detail definitely catches the eye, and is more visually appealing. Even if it's all black and white. Cuts with colored paper would definitely be an interesting thing to see as well if you want to try that out too! Good luck! I look forward to seeing your work if you do decide to participate! Edited by Akreis, 07 January 2016 - 10:50 AM.